La Canada Coordinating Candidate Forum The Coordinating Council sponsors forums for candidates in local elections to present their views. The La Cañada Flintridge Coordinating Council is a nonprofit organization that serves as the co­ordinating body for the many local volunteer and service organizations. The activities of the Council are intended to assist other local organizations in planning dates for regular meetings, as well as special events. The Council also serves as a clear­ing house to the public for information regarding local organizations, including meeting times and places and identification of the leadership of each of the local organizations. Hosts City Council Candidate Forums. 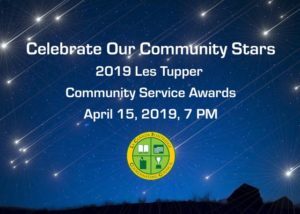 Presents the Annual Les Tupper Community Service Awards to deserving individuals, organizations, and businesses. Coordinates the “Community Calendar of Events” listing of regular community meetings and major events.